Need a copy of the rules? The Pee Dee Education Center is on the campus of Francis Marion University. 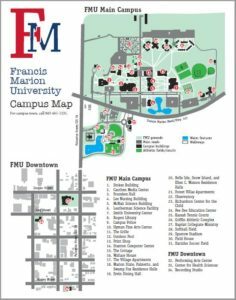 All of our events are hosted on the Francis Marion Campus. 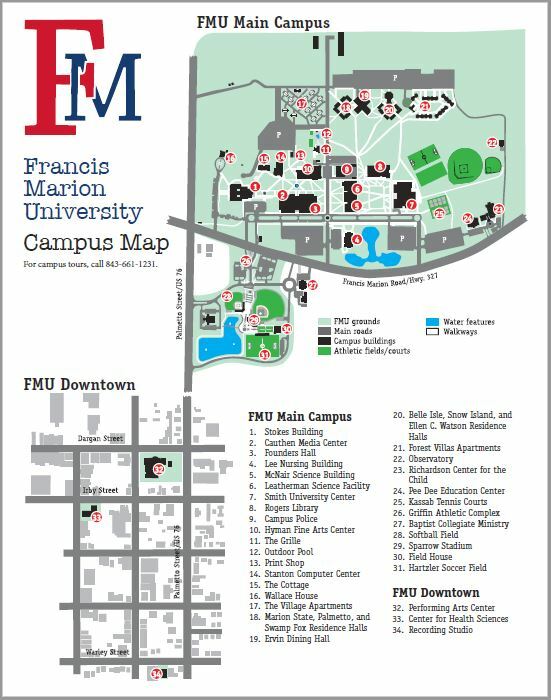 Because the campus is vast, we have provided a map of the campus below FMU Campus Map. Click on the map to enlarge, or click here to download a copy.